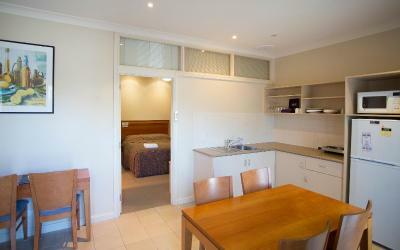 Lock in a great price for Vine Inn Barossa – rated 8.4 by recent guests! Food was good and price is reasonable. Parking is just outside the room, very convenient. Location is good also. Staff is friendly and helpful. 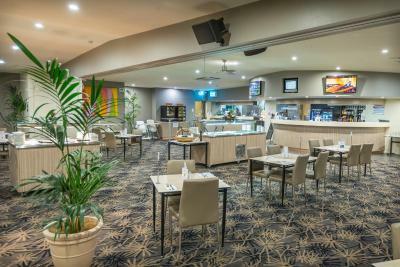 Just food clean, comfortable and spacious rooms. Fabulous showers. Fantastic location. location and facilities for dining etc were excellent.We stayed in the apartments and it was very quiet. The Pizza place next door was brilliant and got our custom rather than the Vine Inn which is what we had planned initially. Location was great. Restaurant was 10/10 - lovely staff and very welcoming. Great service really good food, loved the salad bar! Room was simple but tidy and comfortable, served us well for one night. 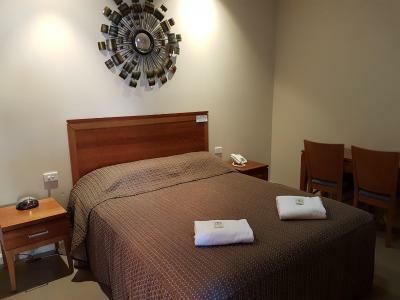 Vine Inn Barossa This rating is a reflection of how the property compares to the industry standard when it comes to price, facilities and services available. It's based on a self-evaluation by the property. Use this rating to help choose your stay! 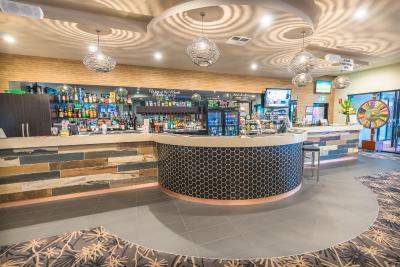 In the heart of the Barossa Valley, the Vine Inn Barossa features a solar-heated swimming pool, a heated hot tub, a restaurant and bar with a beer garden. Free Wi-Fi access is provided. 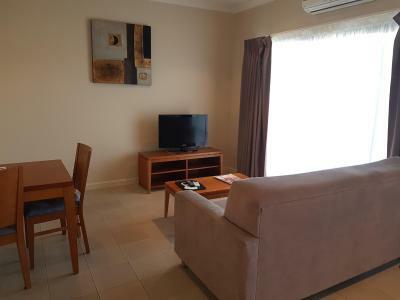 All air-conditioned accommodations features cable TV, heating, a refrigerator and tea/coffee-making facilities. 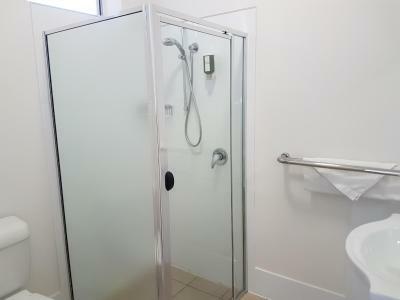 Each room and apartment includes a private bathroom with a shower. Some accommodations are located just under a quarter of a mile from the main building. 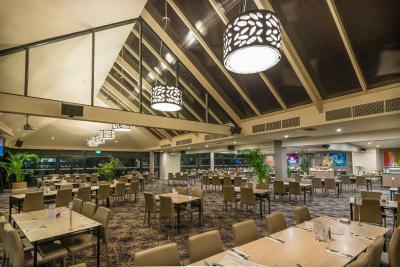 The Vine Garden Bistro has open-air dining, a menu featuring regional produce and an extensive range of local Barossa Valley wines. 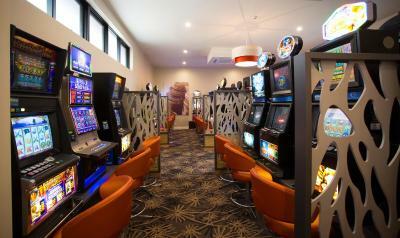 The bar has gaming facilities and large-screen TVs. 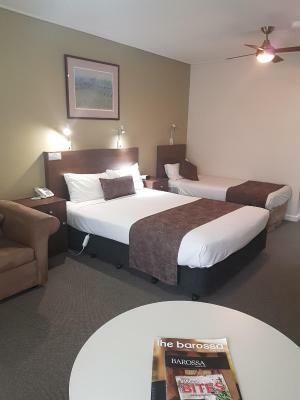 In the center of Nuriootpa, The Vine Inn Barossa Valley is a 1-hour drive from the center of Adelaide. The nearest local winery is just 950 feet away. 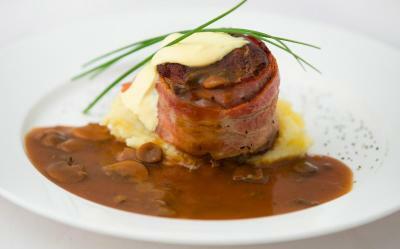 When would you like to stay at Vine Inn Barossa? 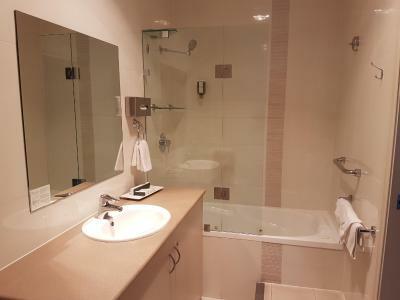 This room features a refrigerator, tea/coffee-making facilities, a flat-screen cable TV and a private bathroom with a shower. 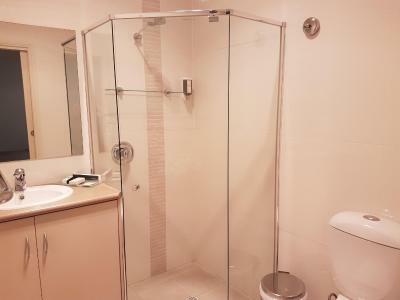 This room features a private bathroom, cable TV, refrigerator and tea/coffee-making facilities. 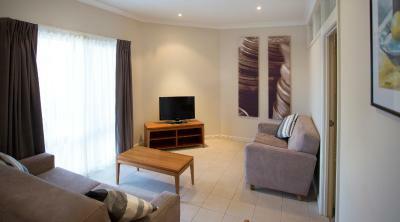 This room is located at the Vine Court: 49 Murray Street, Nuriootpa. 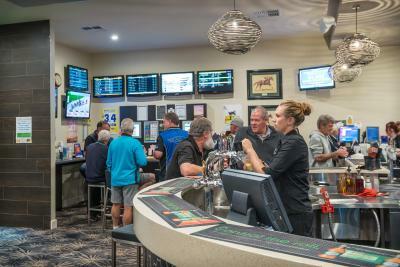 You must check in at the Vine Inn: 14-22 Murray Street, Nuriootpa. 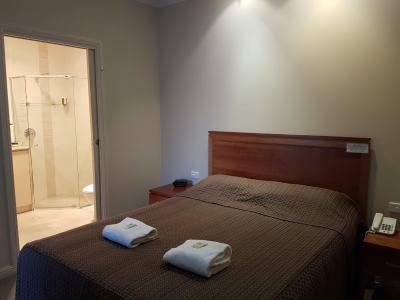 This apartment features a private bathroom with shower and spa tub, plus a lounge and dining area with kitchenette facilities and a sofa bed. Please note that the price is based on 2 guests in the queen bed only. Maximum occupancy is 4 (see Hotel Policies). 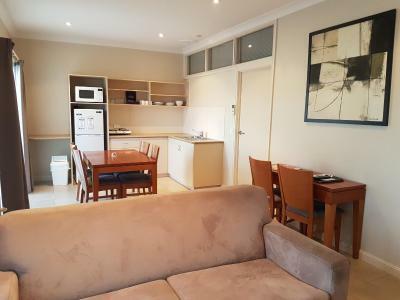 This apartment is located at the Vine Court: 49 Murray Street, Nuriootpa. 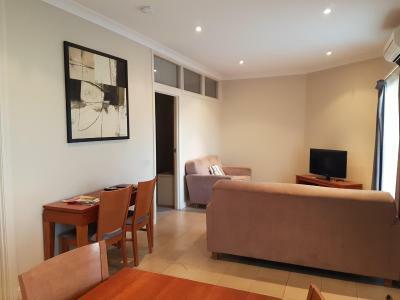 This apartment features a private bathroom with a shower, plus a lounge and dining area with kitchenette facilities and a sofa. 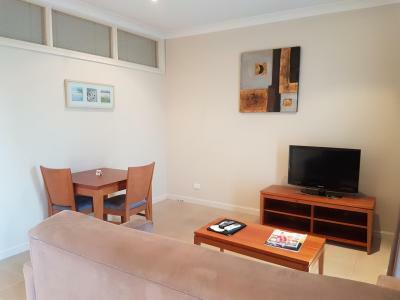 Please note that this apartment is located at the Vine Court: 49 Murray Street, Nuriootpa. 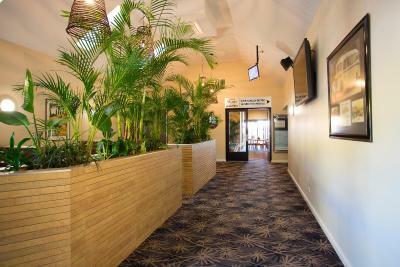 Although our property is spread over two separate locations, check in is required at the main hotel, the Vine Inn. 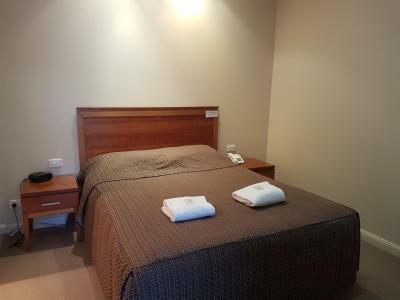 While the Vine Court location offers rooms only, the full facilities of the Vine Inn are at the disposal of Vine Court guests.The Vine Inn was first opened in 1855 as a stop over for bullock trains going to the Burra mines and the Riverland. 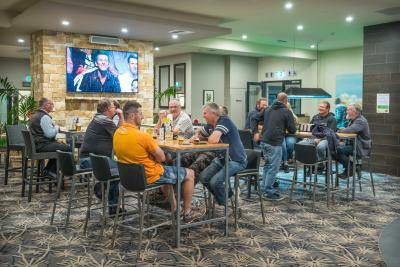 It became a Community Hotel in 1937 and all residual profits are returned to our local community by way of sponsorships and donations to needy causes. We are one of the major employers in the region and predominantly use local trades persons and food suppliers, therefore assisting to support our local community. 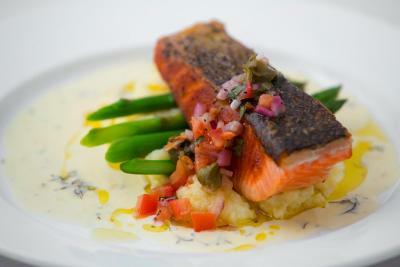 House Rules Vine Inn Barossa takes special requests – add in the next step! 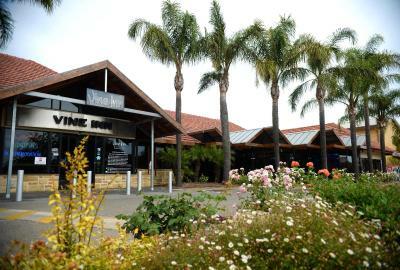 Vine Inn Barossa accepts these cards and reserves the right to temporarily hold an amount prior to arrival. 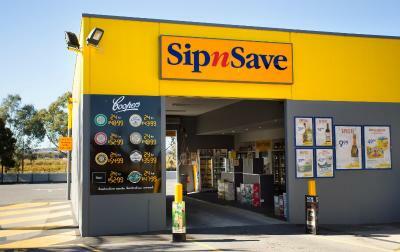 Please note that Vine Inn Barossa has varying locations. 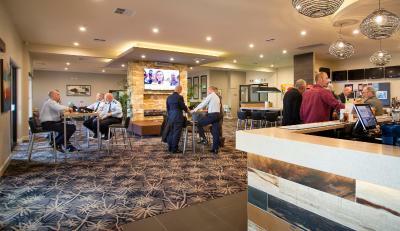 The Executive Queen Room is in the main Vine Inn building at: 14-22 Murray Street, Nuriootpa. 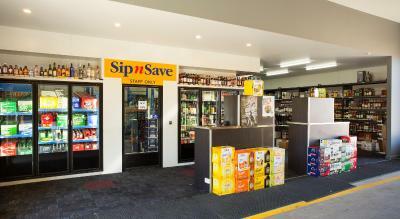 Vine Court, 49 Murray Street, Nuriootpa, just under a quarter of a mile from the Vine Inn front desk. 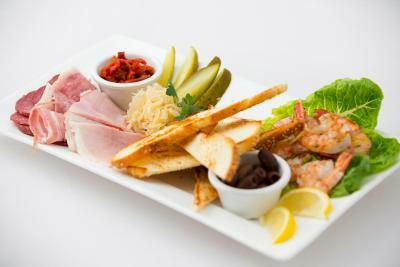 There is a AUD 2.50 feewhen you pay with an American Express or Diners Club credit card. 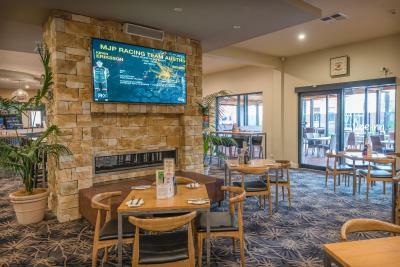 If you expect to arrive outside front desk hours, please inform Vine Inn Barossa in advance, using the contact details found in the booking confirmation. Food was good and reasonably priced, didnt feel we were being ripped off. Also happy hour in the bar was a bonus! 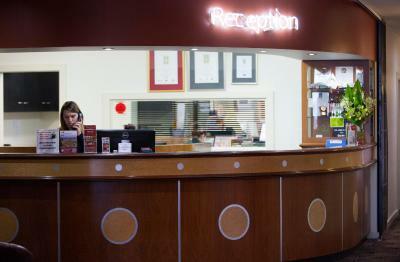 Staff were friendly and the room was lovely and clean. 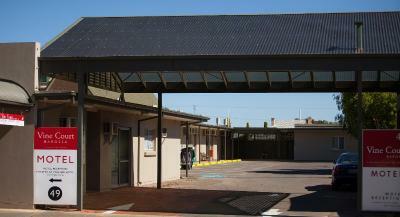 Outside the motel rooms, the area is looking scruffy with old chairs under smokers ash trays, not a good look. Inside the room was lovely, clean and tidy. 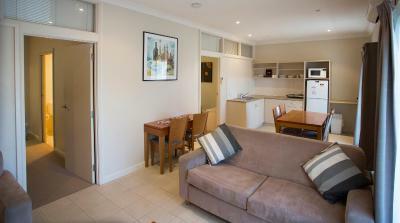 Property in a good position for exploring the Barossa. 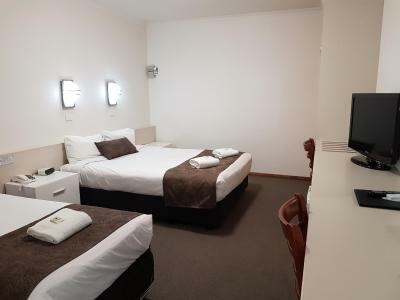 Not the room for a romantic weekend but you get what you pay for. Satisfactory for our needs. Basic motel room down the street from the main hotel building. Clean and adequate for a stop over night at a reasonable price. Bed was comfortable and shower ok. Would have been nice to have been able to open bathroom window. Hotel facilities are good. The bed was not very comfortable. 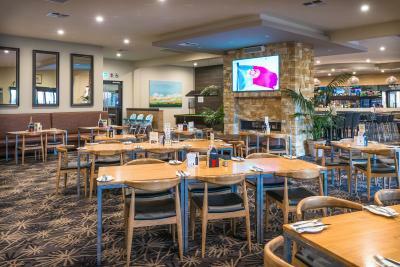 In the main the staff were very courteous and attentive there was just one in the bistro bar area that let the rest of the team down. Our room was spotlessly clean and the location was perfect for our purpose. 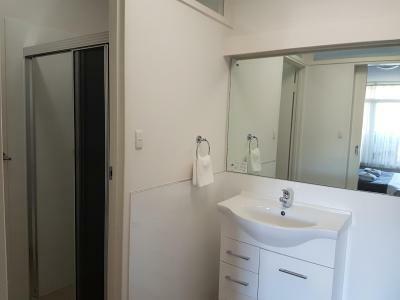 Small rooms but extremely tidy, the en-suite was spotless and freshly painted. Highly recommend for a quiet stay, great location. Was 40 degrees at the time and our room was lovely and cool. When booking I was initially led to believe that I was staying at the "Vine Inn" location, but after booking it turned out I had been booked into the "Vine court", which is separate from the main facilities. I had stayed at this location prior and I knew this location and wanted to be near the main facilities on this occasion. Found it a little deceptive, though the vine court, is of itself, totally fine. Didn't really like being duped though. Had the Barramundi fillet at the restaurant, was a bit sub par considering the 30 dollar price tag. Had a better version at the Weintal a year prior and for a lower price tag. Sliding glass doors to balcony, on the ground floor, were locked and unable to be used. There was an adjoining room and when they closed their front door it would cause the air to make the adjoining door bang.